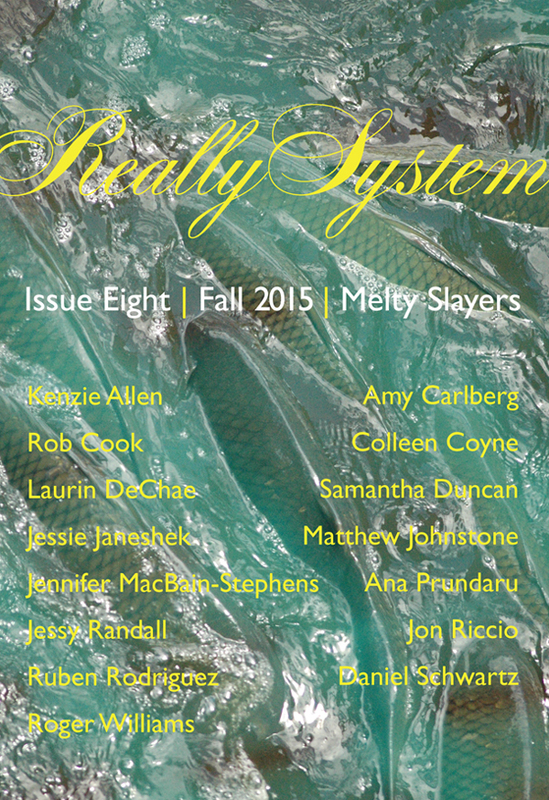 I somehow missed posting here that the latest issue of Really System is now in the world! Very prooud to have been the beneficiary of all of this strong work. THis may be the most cohesive issue so far. Thrilled to have words like dudebro, payphone, JNCOs, bolted, & crypts to the RS corpus. Some new textual treatments coming to RS Labs soon.